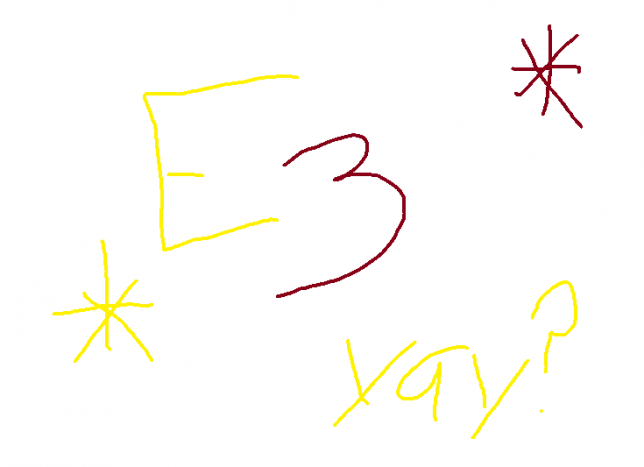 I’ve never been big on E3, the Electronic Entertainment Expo where game companies show off their latest products. I don’t watch it, don’t really pay any attention to it, and the only things I see come from social media. I can’t tell you who does things when, or what conferences were better than others, but I can tell you what people say on Facebook and Twitter. EA happened. People complained about sports, other people told people to let people like sports games, and I think that’s it. No mention of The Sims, so I don’t care. Not a fan of EA. Also, Kingdom Hearts 3 was announced…I think. “UGH EA SO BORING. I DON’T CARE ABOUT SPORTS”. Okay. But there are millions of players in the world that do. Microsoft did their thing today. People are somewhat pleased. I guess they’re doing something that isn’t an FPS game? Also they’re coming out with an XBox One X? Most people agree that this is a dumb name. Whatever, I can’t afford it. Everyone is disappointed in Bethesda, but apparently Ubisoft and Sony did well. Saw something about Shadow of the Colossus and Far Cry 5. Pretty sure Nintendo won E3. Many people on Twitter were freaking out over Metroid Prime 4, and there was mention of a few amiibos and a new Pokémon RPG. There were other announcements of ports for the Switch. Pretty neato stuff. Okay Nintendo, HD Kirby, Metroid Prime 4, new Pokemon game for the Switch, and new Yoshi. You did not disappoint at all. So, uhm, yeah. Videogames. They are indeed a thing! Anna Bryniarski is a pretty uninteresting person with an interesting last name. She also has the best self esteem ever, right next to that casserole that's been in the fridge for weeks wondering why no one's eaten it. She's also definitely a Disney princess and GameCola's social media trash queen. It's not exactly Mega Man...but, it's basically Mega Man.